Whether you want to share something with your IT guy or are composing a How-To, taking a screenshot of your computer can be incredibly useful. 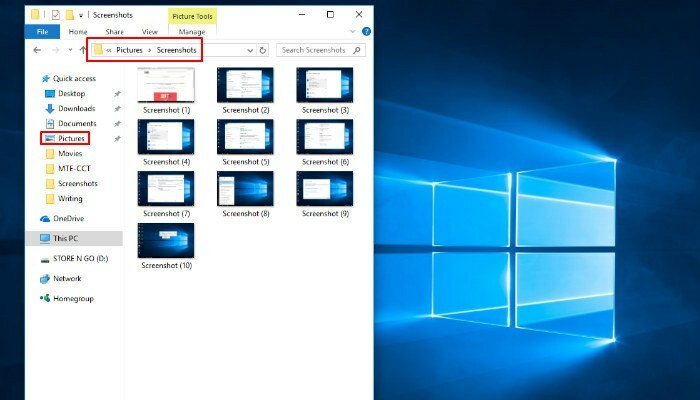 Luckily, there are a number of different ways to capture screenshots in Windows 10. With the app open, click “New” to start the screenshot capture process. This will automatically dull your screen, but don’t be alarmed. This just means that the tool is ready to “snip” your designated area of the screen. Simply click your mouse and drag it to crop your screen, including the desired area you wish to capture. Releasing the mouse button will automatically generate a preview of your newly-created screenshot. If you wish to save it, click the floppy disk icon in the top-left part of the Snipping Tool window. If you exit the program without saving, the screenshot is discarded. Be aware that the default snip type is a rectangular box. 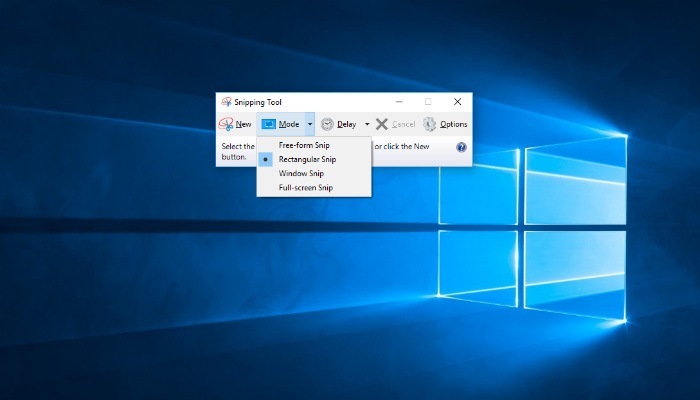 If you click the arrow next to the “New” button in the Snipping Tool, a drop-down box will appear, allowing you to change the snip type to free-form, window or full screen. You can capture your entire screen quickly by simply pressing the “Print Screen” button. This button can be labeled “PrtScn,” “PrtSc” or something similar. 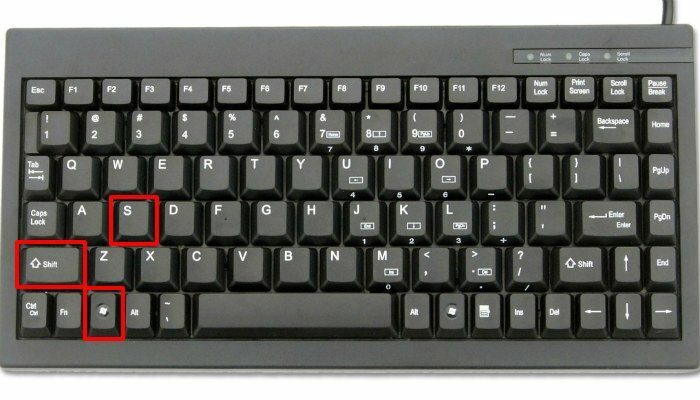 Be aware that on some laptop keyboards you may have to press the Function “Fn” button simultaneously with your “Print Screen” button in order to activate the feature. Pressing the “Print Screen” button doesn’t seem to do anything. However, it has indeed captured your screen. Instead of saving your screenshot as a file, the “Print Screen” button simply copies it to the clipboard. In order to save the screenshot you’ll have to paste it from the clipboard to another program. Once you have copied your screenshot into Paint, Word or another program, you can save it to the location of your choice. Copying a screenshot into another program is handy if you want to do edits, but what if you just want your screen as it is? Fortunately, there is a quick and easy way to do that. 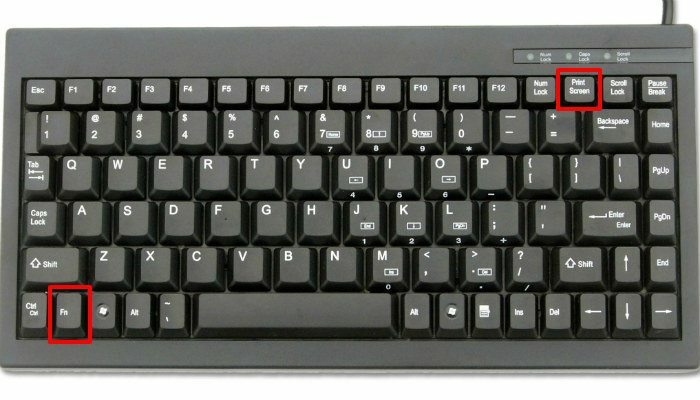 All you have to do is hit the Windows key and the Print Screen button simultaneously. This will cause your screen to dim momentarily. This indicates that your screenshot capture was successful. The screenshot will appear in a folder aptly titled “Screenshots” inside your “Pictures” folder. Note: some laptops may require the Fn button to activate the Print Screen button. 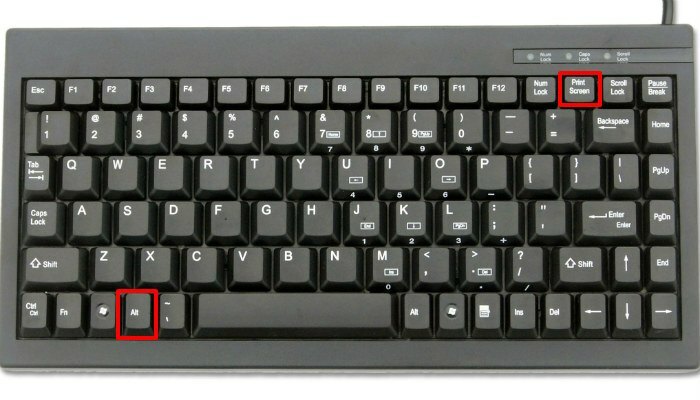 In this case you would have to press the Windows, Fn and Print Screen keys simultaneously. In some cases you may not need to capture your entire screen. Luckily, if you only want to screenshot a specific window, there is a keyboard shortcut for that. Simply click on the title bar of the window that you want to capture, and simultaneously press Alt + PrtScn. Doing so will capture the active window as a screenshot and copy it to the clipboard. In order to save or edit, you will have to paste the image into the program of your choice. If you only want to capture a specific window as opposed to the whole screen, you’re in luck. Pressing Win + Shift + S simultaneously will cause your screen to dim and your mouse cursor to change. If this sounds familiar, it’s because it looks and functions exactly like the Snipping Tool mentioned earlier. Click and drag on your screen to select the part of your screen you want to capture. Upon releasing the mouse you’ll notice the major difference between this shortcut and the Snipping Tool. Unlike the Snipping Tool, this shortcut doesn’t automatically give you a preview of your screenshot. Instead, it simply copies the screenshot to the clipboard, meaning you will have to paste it into an editing program (Word, Paint, etc.) before you will be able to save it. How do you take screenshots in Windows 10? Which method do you prefer? Is there another way to take a screenshot that we’ve forgotten? Let us know in the comments!